Ten boundary stones inscribed with the letters ‘ILB’, denoting Ivybridge Local Board, were instated towards the end of the nineteenth century. Whilst all their locations are known, unfortunately not all of them exist today. Ivybridge has two Parish Stones and two County Stones all located close to the old Ivy Bridge. Additionally, it has one of only four surviving milestones from the original Plymouth to Exeter thoroughfare. Located on the same page as the Boundary Stones, the tradition of “Beating the Bounds” was an old custom of walking around the parish boundary. Various bridges have been constructed over the years to afford passage over the River Erme. Not all of these bridges remain today. Located on the same page as the Bridges of Ivybridge, the Bridge Ceremony is an old tradition permitting the people of Ivybridge to cross the old ivy bridge. The ceremony was resurrected in the early 1990s and is re-enacted each year. Ivybridge had its first Post Office around 1830 located on Western Road. It later moved to Fore Street. For decades the Telephone Exchange in Ivybridge was located above the Post Office. Established in the 1780s, the London Inn was conveniently located on the main coach road. It remained an hotel in Ivybridge until the 1990s. The first chapel of St John was built in 1789 and since then several other churches have been built for the people of Ivybridge. The Devonshire School of Gardening was created in 1911 and catered for young ladies who wished to study horticulture. Included on the Devonshire School of Gardening page, the Walled Garden was located in the grounds of Stowford Paper Mill. The first Ordnance Survey map of Devon was produced in 1809. Benchmarks are survey marks recording heights above Ordnance Datum (usually mean sea level). If the exact height of one benchmark is known, the exact height of the next can be found by measuring the difference in heights, through a process of spirit levelling. Longtimber Woods is an area of 53 acres consisting of mainly broadleaf trees and a variety of shrubs. It has been used by local people for walks, swimming and picnics. Included on the Longtimber Woods web page the old swimming pool was originally a reservoir supplying Ivybridge with clean water. Once a new reservoir was established in 1914 it became a swimming pool complete with changing facilities and a spring board. 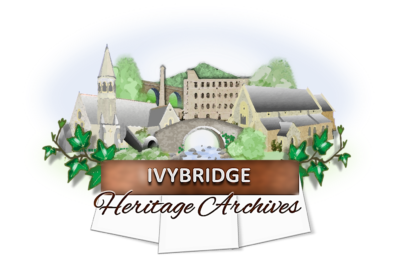 A selection of the people over the years who have made a contribution to the rich history of Ivybridge, including names we see on road signs and buildings around the town. The South Devon Railway was authorised by an Act of Parliament in 1844. The broad gauge line was opened on 5th May 1848. The station at Ivybridge was completed six weeks later, on 15th June. In 1910 a single track, three-foot gauge railway running eight miles from the China Clay pits at Redlake to the drying sheds at Cantrell was constructed. In August 1914 war was declared and by October the production of clay had ceased at Redlake. From diary entries and accounts of a local farmer, rural life in Ivybridge from the 1930s onwards is revealed. In 1856 a National School was established and as the population of Ivybridge has grown so has the number of primary schools. Ivybridge Secondary Modern School was officially opened on Friday 11th July, 1958. Under the ownership of Portals between 1924 and 1930 an athletic club was formed and in later years the mill would purchase two sports fields for the employees to enjoy their leisure activities. Portals Athletic AFC was formed in 1926 but the club’s real heyday was during the 1950s and 1960s. 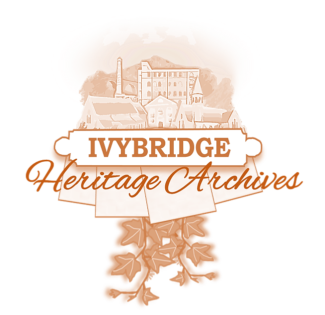 A paper mill was established in Ivybridge in 1787 and production continued for the next 226 years until the incumbent owners closed the site at the end of 2013. Before any method of separating cellulose was discovered to produce woodpulp, paper was manufactured exclusively from discarded clothing, sailcloth, ropes and other fibrous products. A major fire broke out at Stowford Paper Mill on 5th May 1914 with devastating consequences. A newspaper report from the day after recalls the event in detail. The provision of high quality watermarked paper was a key asset of Stowford Paper Mill. A watermark bearing the mill’s name was produced as early as 1843 and the very last commemorating 226 years of continuous paper production was created in 2013. This topic is spread over several web pages. Spread over two web pages, the manufacturing processes and gradual modernisation of the paper mill from the 1950s is documented in a scrapbook style. The provision of security papers was a core business activity for the paper mill and many paper documents we all have at home were manufactured in Ivybridge. The Mill scrapbook delves into the social events enjoyed by the employees of the paper mill over the decades. In 1987 Stowford Paper Mill celebrated 200 years of continuous operation. To mark the special occasion a commemorative plaque was unveiled and paper bearing a special 1787-1987 watermark was produced. In 1980 work began to convert a former machinery room at the paper mill into a modern social club, complete with bar and games room. 2018 marked the centenary of The Representation of the People Act 1918 in which women over the age of 30 meeting certain property qualifications were granted the right to vote. During the four years of hostilities a large number of young men from Ivybridge, like everywhere in Britain, enlisted to serve their King and Country. Using details recorded in the parish magazines of the time, a chronological list of events along with the names of local men who enlisted, endured injury, received gallantry medals and who made the ultimate sacrifice is presented. When World War 1 began in 1914 it was estimated that over 3 million horses were at work in Britain but the war was to become heavily dependent on horses to move the army and its supplies across Europe. Under the Impressment Act, owners had to surrender their horses if they were unable to prove that they were required for essential work. From December 1917, Stowford Lodge, kindly lent by the owners of Stowford Paper Mill became a second line V. A. D. Hospital, providing 50 beds. Patients were generally less seriously wounded than at general hospitals and until its closure in January 1919, offered a comfortable haven for recuperation. On the morning of the 11 November 1918, the ringing of the large bell in the village notified to the residents of Ivybridge that the Armistice with Germany had been signed. Peace again. The town’s air raid precautions were made up of air raid wardens, a report post, two ambulance units, a first aid post, a rescue squad and a decontamination squad in the event of a gas attack. Ivybridge’s Home Guard was No.12 Platoon with a Drill Hall located in Victoria Park. In May, 1943, the GIs of the 116th Infantry Regiment came to Ivybridge as part of Operation Bolero, a long-range plan for transferring and then accommodating almost 2 million American servicemen in Britain in the run-up to an invasion of Europe. Millions of ration books were printed and people had to obtain these in order to buy food, clothing and motor fuel. At the time of Churchill’s broadcast on the 8th May 1945 declaring that the was was over, it was documented that the streets of Ivybridge were deserted, everyone was in doors. However, from 6.30 onward, it was the complete reverse, crowds had flocked to the churches for special services and then later celebrations both at home and in the streets.